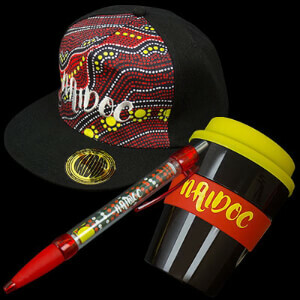 We have everything you need to give this years NAIDOC celebrations your own touch of customisation. Talk to us today about our deadly range of promotional items and merchandise. All designed to accept your custom message or branding. Or if you need something fast and effort free try our full range of in stock NAIDOC items. We are offering the lowest prices in Australia on all indigenous promotional merchandise and we have an order now pay later policy for all government departments and organisations. Browse our NAIDOC promo item range below. NAIDOC Celebrations are Australia wide. And the core message this year is "We all Stand on Sacred Ground" Learn, Respect & Celebrate. The theme highlights Aboriginal and Torres strait Islander people's strong spiritual and cultural connection to the land and sea. We encourage everyone to use this as an opportunity to pay respects to our great country, and to pay respect to those who never stop working to preserve our great land, sea and culture. Did you know that NAIDOC celebrations have been taking place since 1972. The message changes each year and reflects events and the changing dynamic within the Aboriginal and Torres Straight Islander culture. Australian Indigenous culture is the longest contuing one on earth. The lifestyle of Aboriginal and Torres Strait Islander people is linked directly with sacred places everywhere. Sacred places can be geographic features like a river, beach, lake or inlet. HIlls and mountains are also included and many ceremonial grounds exist too. Galleries of stone art and various etchings used when gathering for cultural practises. Long before european arrival, these places had traditional names. Names that reflected the eternal relationship between the people and the land. The National NAIDOC Committee encourages all Australians - young and old - to embrace the 2015 National NAIDOC theme.